At IQC, we’re here to help. With our hassle free, seamless safety certification process, we help organisations just like yours successfully control and manage the impact you have on our environment. We know you, your staff and your clients care about your environmental practices. And, with our help, we’ll show you just how easy it is to show how much you care. Demonstrate your commitment to clients? Well you can, with IQC! No matter what industry or organisation you are in, even small scale businesses way up to big corporations are reaping the benefits of a legally compliant, environmentally conscious certification. The ISO 14001 is your easy way to improve your business, meet and regulate statutory requirements and find the best balance between benefiting our society and environment while meeting the financial needs of your business. The certificate helps customers understand how important your company sees the impact of your operations, processes, products and services on the environment. 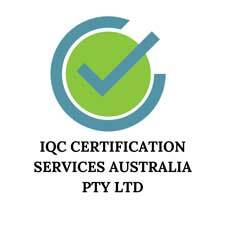 Get IQC certified and start adding value to your business! No time? Don’t worry, it’s seamless. Not sure how to get started? Want to call us now? Never been easier to start! Let’s all do our part to look after Mother Nature.